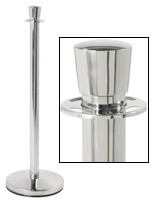 Sturdy chrome hooks affix to stanchion posts! 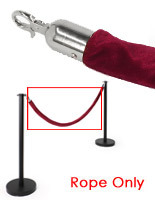 78" rope sets stanchions a perfect 6 ft. apart! Rich velvet rope presents an upscale appearance! 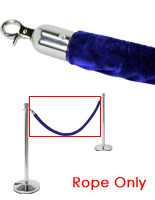 This rope barrier is designed to be used with our rope stanchion posts. 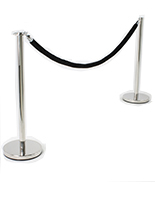 The replacement stanchion rope is perfect for adding that upscale touch to locations like hotels, casinos, ticket offices, theaters, banks and more. 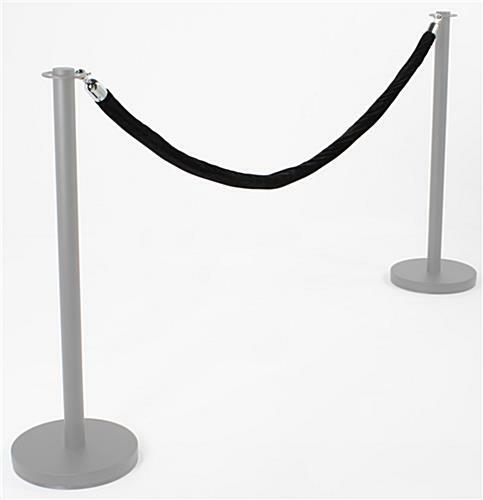 This black rope barrier, also known as a crowd control rope, helps to organize crowds, direct traffic, form lines, or act as a barrier separating persons from expensive displays, such as in a museum. In fact, a museum a great place to use a rope barrier system. 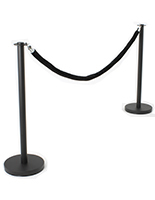 Between exhibits, ticket lines, and souvenir shops, you'll need a rope barrier system for almost every area of your museum! 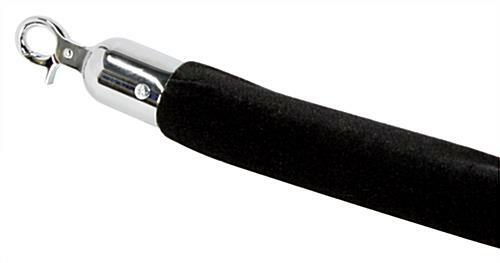 This replacement rope barrier features two polished chrome ends with a heavy-duty clip to secure the rope to your barrier post. 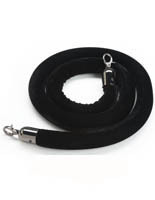 The actual rope is crafted from a thick foam core with beautiful black velvet covering. 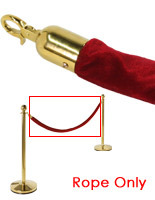 The rope barrier has a diameter of 1.65" and measures 78" long, the perfect length for positioning posts 6' apart. (for safety reasons, the lowest point of your rope should hang at just about 24" above the floor). 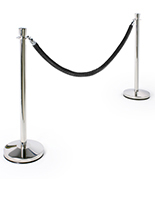 This upscale rope barrier is sure to keep large crowds in order or protect displayed items with style and elegance. If you have already purchased a rope barrier system, buying this black velvet rope may offer an inexpensive way to freshen up the look of your space!